Regardless of whether you are the plaintiff or defendant, litigation requires a business owner to balance multiple cost, benefit, and risk factors that can have a significant impact on the business’s short-term and long-term success. At MDK Law we provide the experience, skills, and resources necessary to minimize the uncertainty often found in litigation through the proven track record of our litigation practice. Our litigators place their clients in a position to have a desirable outcome, whether that is through trying a case before a jury or strategic motions practice that leads to settlement of the matter. All litigation matters are managed by MDK Law founder Mark Kimball. High-value cases typically include representation by both Mark and James Ware. Our litigators’ initial goals are always to find successful, business-oriented solutions to potential disputes. Unfortunately, not all disputes can be resolved without action in court. If litigation becomes necessary, our team has the experience, knowledge, and skill to defend or prosecute your interests aggressively and vigorously. This is why MDK Law has produced positive results for its clients against much larger national and international firms. In addition to holding a post-doctoral LL.M. Degree in Tax Law, firm founder Mark Kimball holds a second LL.M. Degree in Transnational Commercial Practice, including work in International Litigation and International Arbitration. Our attorneys are licensed in Washington, Oregon, California,Texas and New York. Our goal is to provide you with the information necessary to make an informed business decision based on monetary recovery or exposure, litigation expenses, possible court decisions or orders that could impact business activities, potential short-term or long-term cash flow interruptions, or brand image. Litigation is often a confusing and stress-inducing endeavor to the average business person. If you or your business is faced with the prospect of litigation, feel free to contact MDK Law and schedule an appointment to discuss your matter. Litigation is an increasing part of the cost of doing business in the United States. If the time comes when your business is faced with litigation, you will want to ensure that the firm that represents your business understands your objectives. At MDK Law, we endeavor to understand your goals, risk tolerance, and financial considerations early on so that we are always moving toward the outcome you desire. Our litigation team strives to perform goal-driven work that yields results, not an annual billable hour quota. Attorney fees and litigation costs are often a central concern of litigants. Unfortunately, not all firms place the same emphasis on cost monitoring as their clients do. 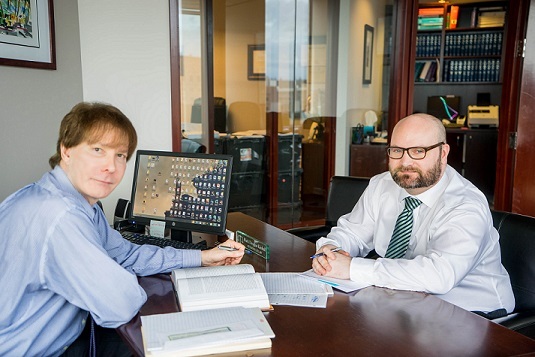 At MDK Law, we work with our clients through each step to help them understand the costs associated with a particular motion, deposition, or expert. Further, we help the client understand how these costs work towards the desired goal. Our firm’s viability is not based upon an annual billable quota system that encourages attorneys to “make work” in litigation matters. Instead, our focus is to provide high quality, cost effective services that create long-lasting relationships and a desire to recommend MDK Law to others. The reason for this business model is simple: MDK Law wants you to understand how your money was spent and that it was spent wisely. Negotiated the settlement of an adversary case in bankruptcy court for clients who were alleged to have created an international, multi-million dollar pyramid scheme. As part of the settlement, MDK Law’s clients were able to retain a significant portion of the proceeds that were alleged to have been improperly taken. Obtained a $300,000.00 plus judgment against a Texas based fishing rod distributor and successfully defended against the defendant’s appeal to the Court of Appeals, Division I, and a petition to Washington State’s Supreme Court. The client was able to enforce the judgment in Texas through MDK Law’s coordination with local counsel. Obtained a $170,000.00 plus judgment for fraud, conversion, removal of a frivolous mechanic’s lien against a Kirkland based general contractor. MDK Law then successfully prosecuted an adversary proceeding in the contractor’s bankruptcy that resulted in a finding that the judgment was not dischargeable. Prosecuted claims by multiple investors in a 1031 investment project against the developer and investment syndicator. MDK Law successfully prosecuted the investors’ claims to a favorable settlement. Ultimately, MDK Law was able to negotiate a buy-back of the investors’ original investment in the project. Defeated a major rail carrier’s attempt to collect demurrage charges by showing that the charges were arbitrarily applied and did not correspond to rail yard volumes or car loads. Negotiated the settlement of an OFAC Enforcement Letter that alleged a U.S. citizen allowed an Iranian national to use a credit card in the United States to export medical equipment to Iran. MDK Law was able to reduce the total sanctions paid by its client by approximately 88%. Prosecuted an appeal of a tax assessment against a national moving company before the Board of Tax Appeals. After MDK Law submitted its appellate brief, the Department agreed to a voluntary dismissal of the assessment. Avvo 5 Star Review – J.S.